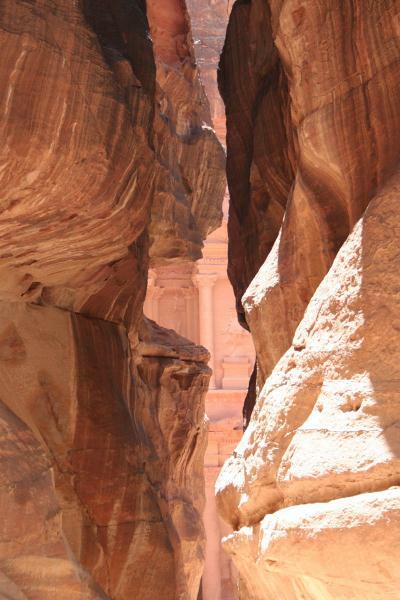 Petra dates back over two thousand years and was built by the Nabateans. Their wealth came from controlling the water supply for the whole area. They built huge water cisterns, and sold the water in times of drought. 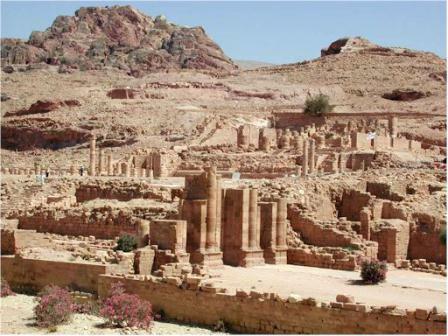 Petra was a stopping point for trade routes going from North to South, and East to West. 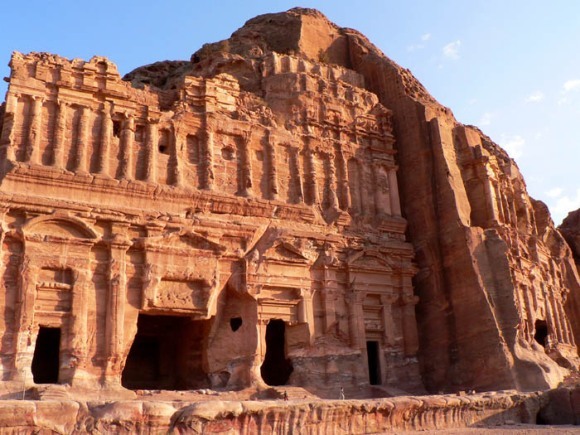 The most famous site in Petra is the Treasury, a huge façade carved into the sandstone. 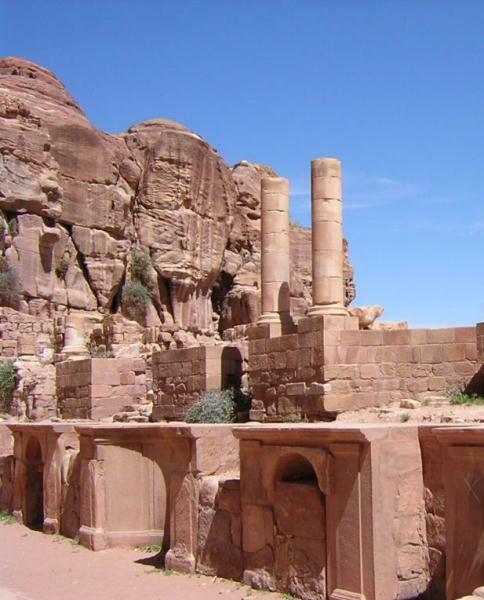 Some of the other sites to see in Petra are the amphitheater, the water cisterns, the tombs, the crypts, the caves, and the temples. 18:30: Pickup from accommodations and transfer from Eilat to the Arava crossing border with our professional crew. 19:00: Border passing includes border control and customs. This process may take up to 1 hour, so your patience is required and appreciated. 19:30: Transfer from crossing border to the hotels in Aqaba. 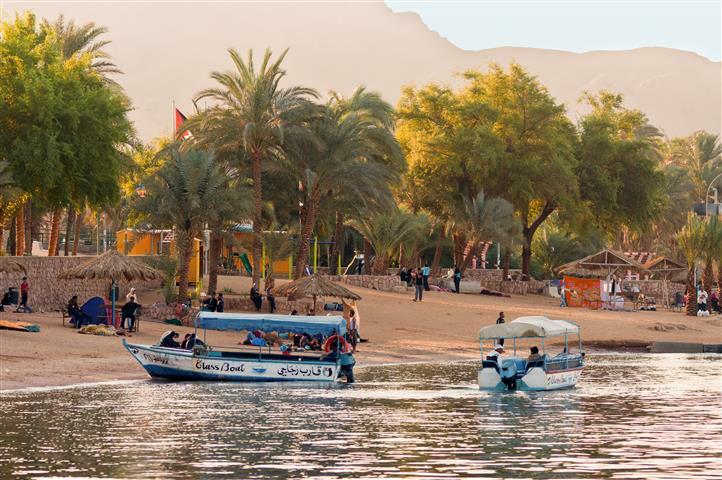 We recommended you use the map of Aqaba and visit some of the sites in your free time. 10:00: Pick up from Hotel, and transferred from Aqaba to Petra. 11:30: Tour of Petra begins at the entrance to the site. Included in your package is an optional horse-back ride for the first 200 meters of the route. The ride will allow you to taste the unique atmosphere of the place, (tipping the carrier is required, ranging from 2-5 dollars at your discretion). 16:30: We begin our return trip towards Aqaba. This route includes a few stops along the way at certain observation points in order for you to enjoy the beautiful landscape. 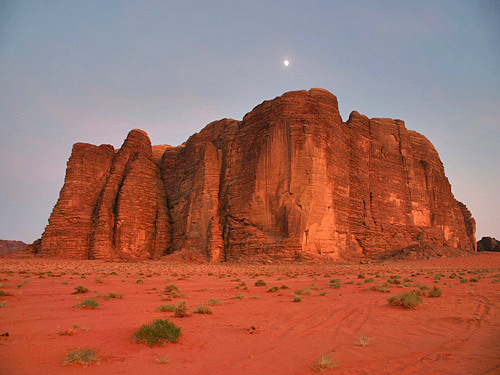 View point of Wadi Rum. Single supplement $60 / high season $70. Room rates are charged at Per Person in double room. Visa for Jordan. We can make it for you at the border for a fee of $75. 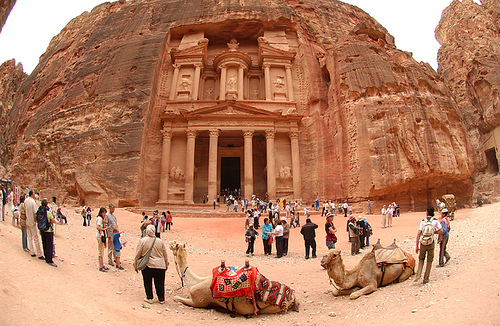 (There is an option to stay 1 more night in Jordan, and you will not need a visa).